Swallows, a newly refurbished barn conversion set within a small select development of just eight barns is a prime example. The property offers generous and flexible accommodation approaching 2000 sq ft currently arranged as four bedrooms, study/family room, sitting room and newly fitted kitchen/dining room both with doors opening out to a charming low maintenance courtyard garden. The barn sits within attractive and well maintained private grounds including a central courtyard and benefits from a double garage. Swallows is situated in the pretty village of Galmpton which sits alongside the River Dart, with the charming location of Greenway nearby. 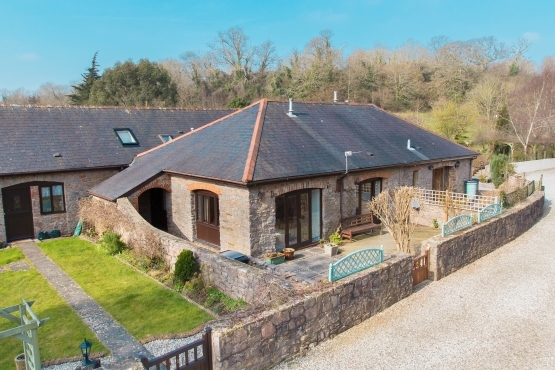 Swallows, 2 Manor Court is offered to the market with a guide price of £425,000 For further information please contact Marchand Petit’s Totnes office on 01803 847979.